That exact verse was used on me before. Along with the phrase “you have a track record of disobedience ” bc i married someone the pastor didn’t personally approve of. Example 7 in your list above, “Denying the right to divorce despite having grounds to do so” is intriguing to me. What do you think are the grounds for divorce? And in your observation/ opinion, under what circumstances is the right to divorce most commonly denied, when it should be allowed? Thank you for an excellent article. After enduring years of abuse from my husband, I brought the issue to my PCA church for help. I thought that they would have my family’s best interest in mind, and would shelter and protect us. What happened was the most horrific experience of my life. First they ignored my pleas for help, and the abuse escalated because my husband knew I called them. A year later, after discovering that my husband was having an affair, I informed them that I wanted to pursue a divorce. Ignoring the PCA procedure and common sense, they told me that they were going to ‘fix’ my marriage. This consisted in requiring me to pay for expensive mediation where they attempted to convince me that my husband was sorry, and destroy the boundaries that I had set up to protect my family from his abuse. After the sessions, it was obvious that my husband was not repentant, as he was threatening my life again, and the pastor was adding to the confusion by telling me that I needed to be submissive like Sarah, and take back the unfaithful spouse like Hosea did. Only recently, I have found that these statements come from John Piper and John MacArthur books-not from the denominational position. The church’s intervention caused the threats to escalate as they were offering my husband validation for his actions. Meanwhile, my health was breaking down, and my extended family was witnessing all of this chaos, concerned that I would be murdered. I was pressured to sign promissory notes for my unrepentant husband to continue in counseling, and I felt I was being waved around like a carrot on a stick for him to go, since the pastor told me that I won’t love him, but will be taking him back. Because of the expense of the counselor, and the fact that I was terrified of both my husband and the prospect of taking him back after this ordeal, I refused. I asked the church why they won’t discipline, and I received a letter threatening me with church discipline for ‘derailing’ their plans. The church intervention lasted over two years! What is so traumatic is that I was at the lowest point in my life when I came to the church, and completely trusted them. My children and I view the church much differently now, and will never trust in that way again. 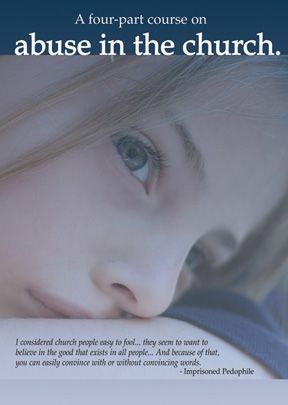 I highly recommend, Jeff Crippen’s book, “ A Cry for Justice, How The Evil of Domestic Abuse Hides in Your Church”, for those who wish stop the abuse. I’m very sorry for the abuse that you endured at the hands of your husband and for the response that you received from your church leadership. I am curious about your statement which attributes the advice that you received – “to be submissive like Sarah, and take back the unfaithful spouse like Hosea” to John MacArthur. I was a member of Grace Community Church in the 90’s. While the leadership, including John MacArthur teaches that indeed, “God hates divorce”; they also readily acknowledge that divorce is permissible when dealing with an unrepentant adulterer (and in the case of abandonment). These Biblical teachings are found in John MacArthur’s book, The Divorce Dilemma. I’m so sorry for the hurt you have endured. It is faith shaking and painful to be hurt by those who represent God. I read John Piper’s book and John McArthur’s books/articles and was hurt trying to follow their interpretation of God’s word for those in our situation. In my case, following their advice just enabled and perpetuated abusive behavior. I now wonder if I were one of their daughters, if they would send me back to the situation or tell me I could divorce but never remarry? I believe many PCA and reformed churches are patriarchal to the extent that they have little respect for women as human beings. I also recommend Jeff Crippen’s book and Leslie Vernick’s books, The Emotionally Destructive Relationship and The Emotionally Destructive Marriage. May God bless you Laura and bring you into a safe and healing place. Thank you, Phil. Good work. How about a pastor actually using their influence to push someone to GET a divorce if their spouse does not believe or follow the tenants of that particular church? Too many churches can be abusive. Agreed. Some of those also sound like ways people have at least tried to abuse me as their pastor. Yes, sometimes it goes the other way. As strange as that sounds. True, spiritual abuse can go both ways. Chances are that we all spiritually abuse some one, in some way, at some time. I was spiritually abused. However, can I say that I’ve never manipulated another for my purposes, however naive it might have been? Nope. It is likely that my words and behavior have had a negative impact spiritually on another person. At least once and probably more. Even the abused can abuse. I agree that John Macarthur writes that divorce is permissible when dealing with an unrepentant adulterer. But he also teaches that the Book of Hosea “is a practical illustration of how to deal with a wayward spouse”, (pg. 17), which I think that is what my church was referring to when they said, “I won’t love him, but I will be taking him back.” It was obvious to me, but apparently not to them, that my husband was not repentant. The pressure was laid on me to take him back because he said he was sorry, and I think that this was the foundation of the spiritual abuse from the church. Also, there is no mention of abuse in the book at all. It is as if the author needs to pretend that abusive and mentally disturbed people do not get married so that he doesn’t need to address the dilemma of dealing with the damage they cause. I have come to discover that the PCA has an excellent position paper titled, “Divorce and Remarriage,” in which Dr. Diane Langberg advised the drafting committee. There is a practical procedure for dealing with abusive and threatening people which had the church consulted their own document, instead of popular authors, they would have assisted, rather than abused a family in their flock. I attribute the “Submit like Sarah” statement, to John Piper who takes a no divorce for any reason stance. He teaches that the purpose of marriage is to portray the indissolvable union of Christ and his church. I think that the fusion of teaching from these two popular teachers led to an unbiblical and hurtful response, by the church.